The new kid in school needs a new name Or does she? Being the new kid in school is hard enough, but what about when nobody can pronounce your name? Having just moved from Korea, Unhei is anxious that American kids will like her, so instead of introducing herself on the first day of school, she tells the class that she will choose a name by the following week. 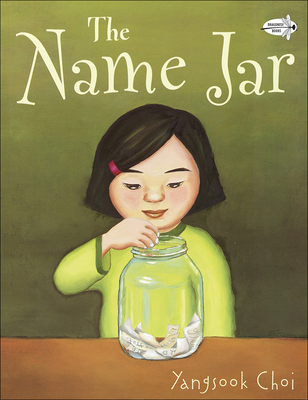 Her new classmates are fascinated by this no-name girl and decide to help out by filling a glass jar with names for her to pick from. But while Unhei practices being a Suzy, Laura, or Amanda, one of her classmates comes to her neighborhood and discovers her real name and its special meaning. On the day of her name choosing, the name jar has mysteriously disappeared. Encouraged by her new friends, Unhei chooses her own Korean name and helps everyone pronounce it Yoon-Hey.